REMINDER: 2017 Marty Stuart's Late Night Jam Tickets On Sale Tomorrow 3/10 10 AM CT! 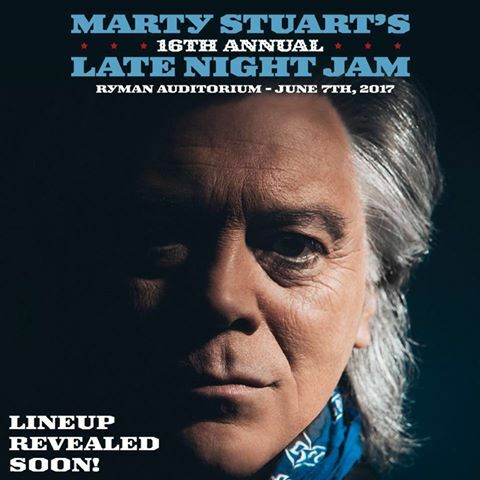 2017 Marty Stuart's Late Night Jam Tickets will go on sale Tomorrow, Friday 3/10 at 10 AM CST! Tickets for this annual CMA Fest Kick-Off were originally set to go on sale at 10 AM CST on Friday, March 3, 2017 but sales were postponed. Marty Stuart's Late Night Jam LIVE AT THE RYMAN!